This compendious, extensively illustrated slab of a book tackles, among other things, the development of the factory system, working conditions and working class resistance, utopian planning and modernist architectural design, the effects of suburbanization of industry, just-in-time production and containerization, fashion, urbanism, gentrification, and craft through such an onrush of dense information that it is often hard to ascertain exactly what the book is about. The nearest thing to a common thread—other than chronology—is an exploration of the factory in the city. That is, the role of industry in urbanism, what it means for a city to be a place of material production, how that production is housed and how its workers live and work, and, crucially, whether or not there is a future for urban manufacturing after 70 years of decentralization and inner-urban de-industrialization in Europe and the United States. This central thread is so interesting that much of the rest of the book—basically a history of design and factories, familiar from the likes of Gillian Darley’s Factory—could have been cut away to make the book more lean. The eclecticism of the source material could do with major pruning, and the editing is often careless: Robert Owen’s Clydeside Utopia was New Lanark, not New Harmony, the account of Chicago slaughterhouses in The Jungle was written by Upton Sinclair, not Sinclair Lewis, to name two of several slips. Nonetheless, this excess might be the point—an appropriately daunting mesh of interlinked processes and stories. The question of why the factory left the city is put down to wartime paranoia and social planning; Rappaport takes the Jane Jacobs line that zoning industry out of inner cities was unnecessary and damaging to urban economies, which may have been true, but as recent histories like John Grindrod’s Concretopia might remind us, urban industry in dense 19th century cities like Glasgow was often extremely toxic and unsafe to the working class communities who had to live next door to it. However, her case here draws also on more radical sources, such as French Marxist philosopher Henri Lefebvre’s assertion of the “right to the city,” and especially the inner city, being cleared of undesirables in Lefebvre’s 1960s Paris. The end result of “the removal of industries away from public view” was also the removal of certain groups of people. As counter-examples, she traces a history of integrated factory settlements, like Berlin’s modernist Siemensstadt, to suggest that there were other possible approaches than zoning and suburbanization. Beginning with the wartime U.S.—with its vast, single-story complexes like Willow Run—and continuing even through socially experimental factories like Volvo’s more democratic, collaborative factory at Kalmar, the factory left the city and settled into sprawling, off-motorway sites, expansive of land and elusive of view. Perhaps the most exciting parts of the book are Rappaport’s studies of some “vertical urban factories,” as opposed to the flat, hidden, exurban factories where most things get made—in the west, at any rate. These go from 1820s Manchester, where, in Schinkel’s words, “the life of the city runs along the massive houses of the cotton mills, to Manhattan’s astonishing, multifunctional Starrett-Lehigh Building, where a train could enter the building from West 27th Street and proceed to the elevators located in the central core, load or unload onto trucks and the exit onto 28th Street,” and to more recent examples like Zaha Hadid’s BMW Leipzig, where workers walk past the souvenir shop on their way to work. These genuinely do feel like a better way of designing production into cities than placing “pancakes” on the edge of motorways—a means of planning that makes production and distribution networks (and their workers) visible, and by implication, changeable. However, many cities outside of the U.S. and Europe really are made up of vertical urban factories even today—Shenzhen and Dhaka being a particular case in point. The 400,000-strong Foxconn factory, integrated with eight-to-a-room dormitories is one she describes at length, while the multi-story textile factories of Dhaka are sketched out more lightly, though the fact that the worst industrial accident in decades, at Rana Plaza, took place in a vertical urban factory would seem to temper its validity as a means to create fairer cities. Although Rappaport never loses sight of the consequences of design and industrial processes on actual workers’working conditions, the emphasis falls too much on best practices. These include the new vertical urban factories that exist in the west—craft beer breweries in Canada, bike factories in Detroit, American Apparel in the U.S.—which use a seductive combination of adaptive re-use, renewed craft traditions, and inner city sites, which somewhat masksthe fact that they’re just as much part of the process of inner-city gentrification as Willow Run was part of post-war suburbanization. None of them can even begin to offer the quantity of jobs once offered to the cities they stand in that the motor industry or textile industry once did; she points here to a gap between celebrated middle class “makers” and invisible proletarian“‘workers.” The last quarter of the book features many examples of beautifully designed, sustainable, semi-automated actories integrated into the city; but whether these could ever have the role in most people’s lives that the factory once did is a very different matter. It's a dazzling bright afternoon as my plane flies over Quito, Ecuador. The pilot does a loop to come into land and we get a sweeping view of the Andes mountain range and the valley within which this city of 1.6 million dwellers rests, 9,350 feet above sea level. On my taxi ride from the airport I ask the driver, in my terrible Spanish, if he knows what Habitat III is and whether it's of any interest to him. 'Si...', he responds resoundingly. It's been all over the TV apparently and—of course, it's of interest, it means more business for him—he chuckles. As we drive along the motorway, with every lamppost we pass bearing the Habitat III branding and slogans of welcome in every possible language, I begin to realize how silly a question that was. Quito as a city has a clear and tangible relationship with the UN, perhaps more than most. Its Bus Rapid Transit (BRT) systems, one of the UN-Habitat’s success stories, are everywhere and, crucially, Quito was also the first city to be declared a UNESCO World Heritage Cultural Site. In the taxi, there's a palpable sense of civic pride coming from the driver as we get closer to the city. Later in the week, I will get to see this pride played out on a grand scale. Simultaneous to the Habitat III conference, which is located around Casa de la Cultural at the center of the town, a Festival of Lights is running to the northeast in the historic town center, which has been organized with support from the city of Lyon. Quiteños have turned out in droves on the streets to promenade with their families. The festival lights look good highlighting the features of the historic buildings but what's really great is the experience of being among the throng of people easing along the gradient of the street. Fathers lead the informal parade, often with their youngest child in arms sound asleep, (a stroller would be useless with Quito's steep slopes), there are locals of the quarter out supplying the crowds with grilled corn and plantain, and at the rear teenagers are hanging back passing furtive glances as different families cross paths with each other. The whole scene recalls images I'm used to seeing in town centers in Southern European cultures during summer festivals: It's a feeling of being connected at once to everyone in the bosom of the city. The taxi driver wakes me from my daydream induced by the winding mountain road, 'Alli es Quito...' he's pointing straight ahead. We're near the valley floor when I peer upwards through the windscreen from the back seat of the car to see rising from the hill top, a series of terracotta apartment blocks, like sentinels guarding over the city, which our road will soon climb up towards. When I arrive at the apartment, I realize that Quito is high up indeed. Higher than I'd accounted, I can feel it in my chest that the air is thinner. 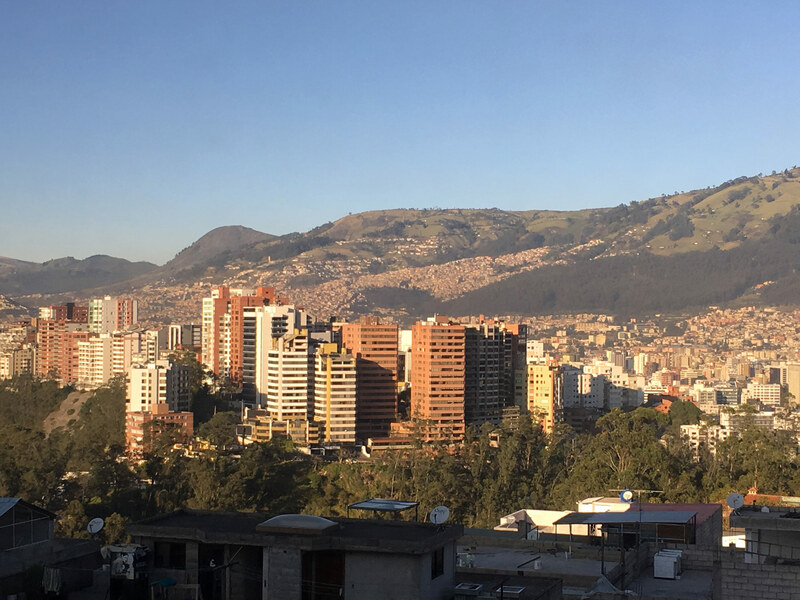 In fact, Quito is one of the highest cities in the world—it takes time to acclimatize. I wonder how the thousands of delegates from around the world are coping. The Habitat III conference ran from the 17th to 20th October and explored and discussed the New Urban Agenda, a document composed of 175 paragraphs on 23 pages. It lays out a vision for using the potential of the city, in the context of accelerating urbanization, to improve the wellbeing of everyone on the planet. 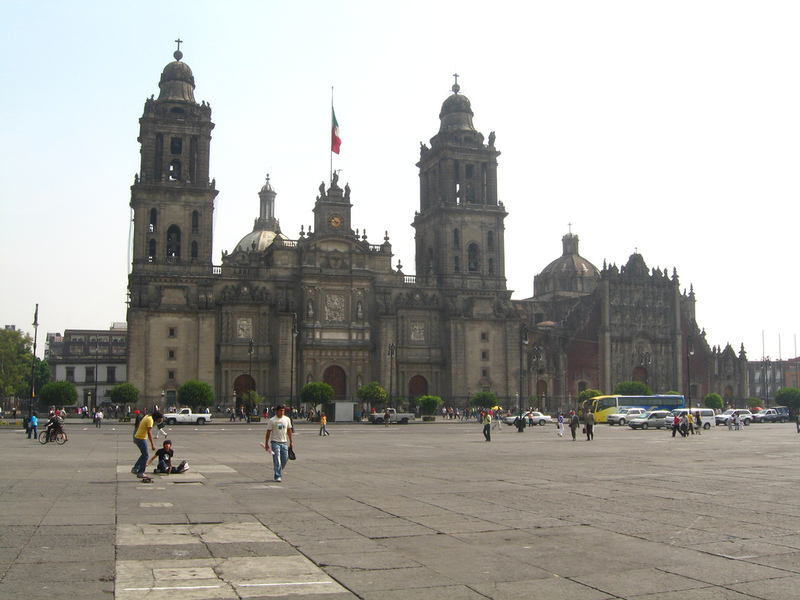 The program for Habitat III was huge and there are hundreds of open events split into the categories of High-Level Roundtables, Stakeholder Roundtables, Special Sessions, Dialogues, Side Events, and much more. Some of the highlights were the headlining evening Urban Talks in which the current curator of the Venice Architecture Biennale, Alejandro Aravena gave the opening keynote. In his speech, Aravena fleshed out his belief in the ideas of Dr. Joan Clos, executive director of the conference: we need to invert our notion that good cities only come about after the creation of wealth and prosperity to one where good cities lead by setting the context for economic development—this is a critical principle underpinning the New Urban Agenda. Aravena compliments this concept with a detailed financial plan for building homes at scale through a relationship where the state and market are accompanied by a third element, the capacity of the people themselves—a dynamic which is exemplified in his half house model. 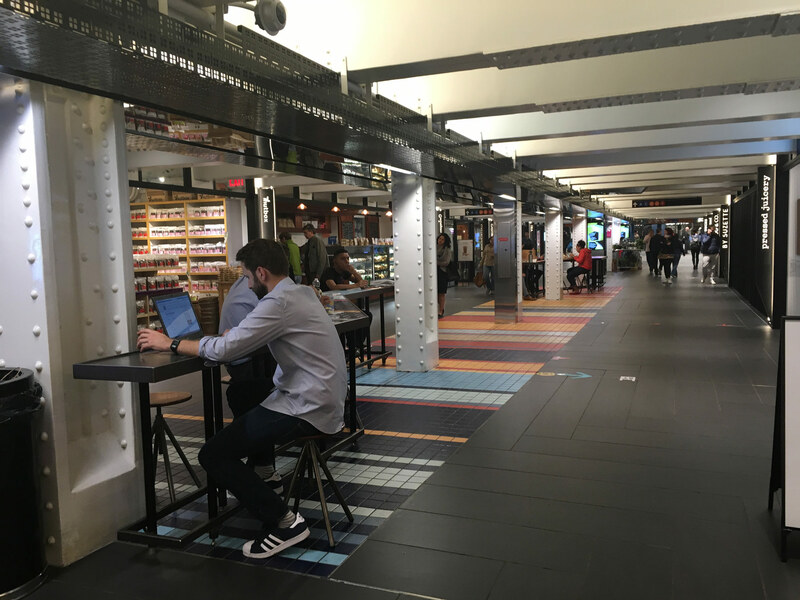 Another of the Urban Talk treats was hearing Saskia Sassen, Richard Sennet, and Dr. Joan Clos in conversation, chaired by the Director of LSE Cities Richard Burdett. Sennet spoke on the importance of Open Cities, Sassen cautioned against the influence of private interests in the development of the city, and Clos stressed his point that the urban age must be planned and not left to instinctive development. 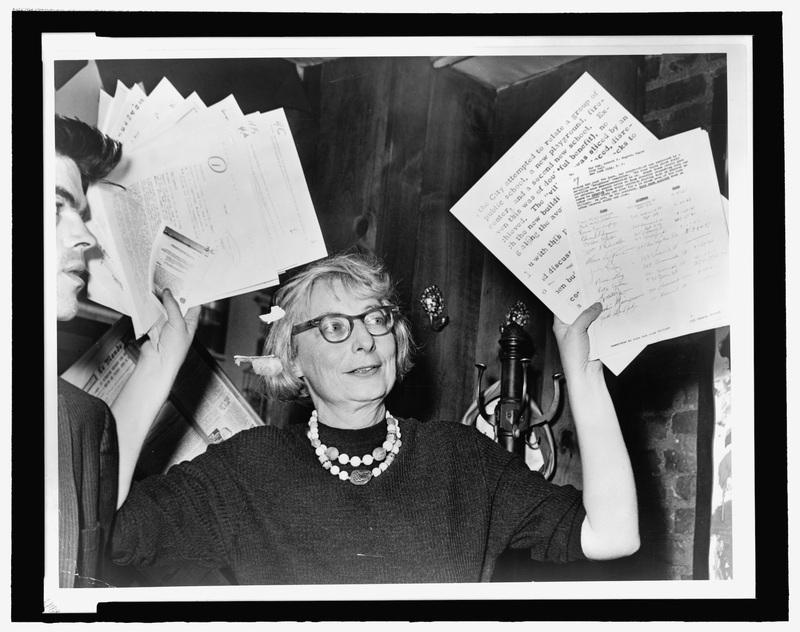 A memorable moment came when, in a welcome aside to the gravity of their well-rehearsed speeches, we learn from Sennet that the late great Jane Jacobs was an accomplished Scotch drinker and could drink him under the table anytime. Unexpectedly, more than the talk of the New Urban Agenda is the talk of the vast queues and long waiting times to get through the venue security. This has been the greatest-attended Habitat conference with over 45,000 participants and it seems that the organizers somewhat underestimated the level of public interest. Judging by my unscientific survey of the crowds it appeared that many of the participants are local Quiteños from the general public, easily outnumbering the delegates from abroad—their civic pride in evidence once more. It's difficult to tell how much those who attended the conference were able to understand the New Urban Agenda—or indeed how much of it will actually be achieved over the next 20 years. However, the conference has highlighted key global urban trends such as the facts that cities are expanding faster geographically than their populations, as highlighted by the Atlas of Urban Expansion, and investment into urban development is going to have to increase by a magnitude several times greater in order to meet the demand of growing populations. Outside of Quito, this week at Habitat III might not have been the biggest news story, yet the emerging consensus around the global community's response to the challenges highlighted above—and their prioritization of the city in tackling them—are going to have profound implications for architecture and urban development over the next generation. A full review of Habitat III will appear in our December issue, then online as well. 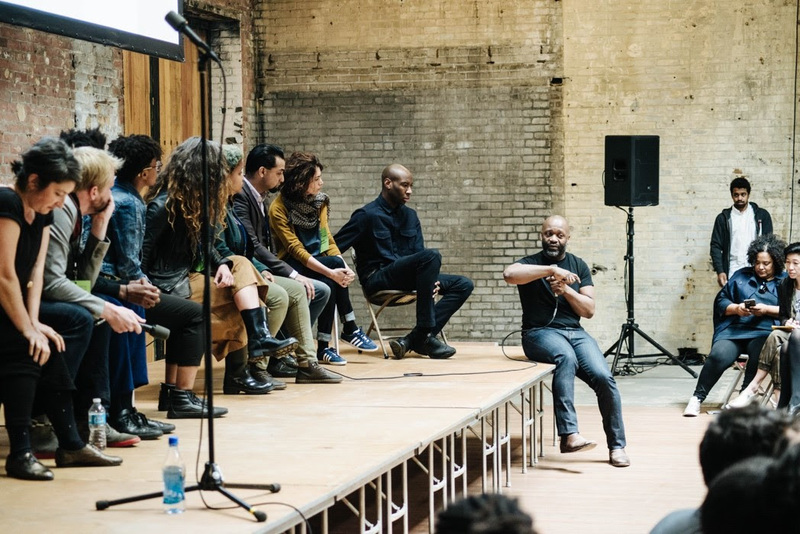 The New Museum is partnering with the contemporary art non-profit NEON to present IdeasCity Athens, a five-day residency program culminating in a public conference at the Athens Conservatory in Greece. Forty fellows will live and work at the conservatory to observe the state of the city and work towards addressing the problems it faces. 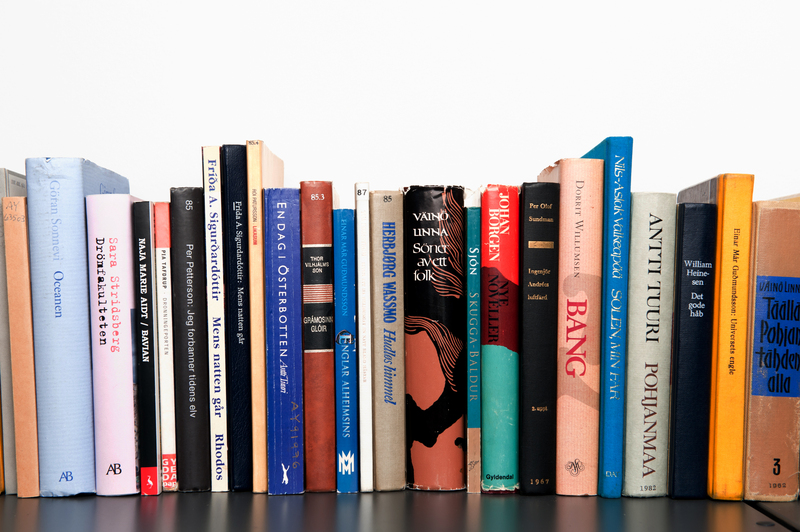 The fellows' work culminates in a free conference on September 24. The Architect's Newspaper was on the ground this spring for IdeasCity Detroit (see our comprehensive coverage here.) Programs have also been held in New York, Istanbul, and Sao Paulo. The platform was started by Lisa Phillips and Karen Wong, director and deputy director of The New Museum. John Akomfrah, Tania Bruguera, dream hampton, George Prevelakis, Nick Srnicek, and Hito Steyerl are among the speakers at the conference. Check out the IdeasCity website for more information about the Athens fellows and upcoming programs. The full list of fellow and speakers, taken from a recent press release, follows below. IdeasCity Athens Speakers Yaşar Adanalı is an urbanist, researcher, and lecturer based in Istanbul. He is a cofounder of Center for Spatial Justice Beyond Istanbul, a cross-disciplinary urban institute that works on issues of spatial justice in Turkey. Additionally, Adanalı teaches courses in participatory planning at Technical University of Darmstadt and in urban political ecology at Koç University in Istanbul. John Akomfrah is an artist and filmmaker based in London. His work has been exhibited at the Eli and Edythe Broad Art Museum, Tate Britain, the Museum of Modern Art, the Hayward Gallery, the 2015 Venice Biennale, and the 2012 Taipei Biennial, among other venues. Additionally, Akomfrah’s films have been featured in the 2013 Sundance Film Festival and the 2012 Toronto International Film Festival. Tania Bruguera is a performance artist based in New York and Havana. Bruguera has exhibited her work at the 2015 Venice Biennale, Tate Modern, and the Solomon R. Guggenheim Museum, among other places. Since 2015, she has been the artist in residence in the New York City Mayor’s Office of Immigrant Affairs. Additionally, Bruguera is the initiator of Instituto de Artivismo Hannah Arendt in Havana. 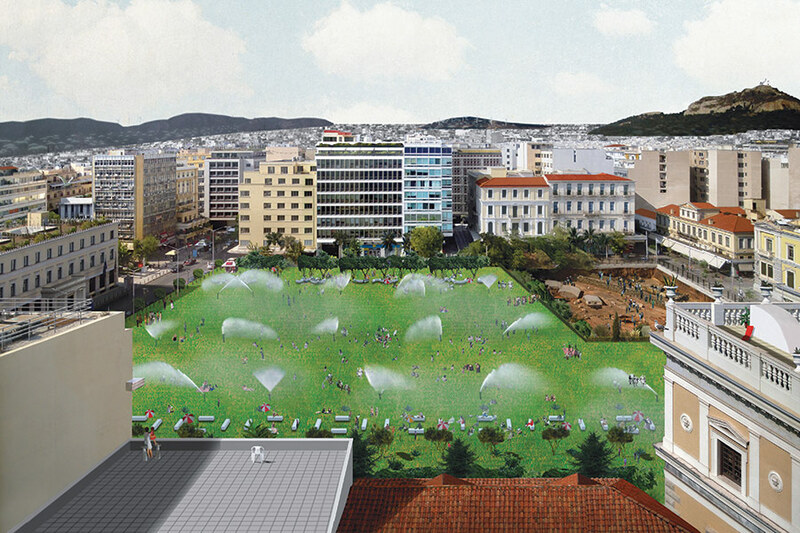 Thomas Doxiadis is an architect and landscape designer based in Athens. He is the founder of doxiadis+, an architecture office that works on urban interventions, landscape restoration, and policy. Currently Doxiadis is Chair of the Natural Environment Council of the Greek Society for Natural and Cultural Preservation. Rosanne Haggerty is a community development leader based in New York. Haggerty is the founder of Common Ground, a not-for-profit organization that works with cities to design new approaches to health, housing, and community challenges. She is a recipient of the MacArthur Foundation Award and was awarded the Jane Jacobs Medal for New Ideas and Activism from the Rockefeller Foundation. dream hampton is a filmmaker, writer, and organizer from Detroit. Point Supreme Architects is a design studio based in Athens. It was founded in Rotterdam by Konstantinos Pantazis and Marianna Rentzou in 2007. Their work integrates research, architecture, urbanism, landscape, and urban design. The studio’s work has been exhibited at the 2015 Chicago Biennial, the 2012 Venice Architecture Biennale, and Storefront for Art and Architecture. George Prevelakis is a political scientist and geographer based in Paris. Prevelakis is Professor of Geopolitics and Cultural Geography at the Sorbonne University, Paris. Previously, he has served as the Greek Permanent Representative at the Organization for Economic Cooperation and Development. He is Codirector of the French journal Anatoli and a regular contributor to the Athens daily newspaper Kathimerini. Nick Srnicek is a writer and educator based in London. Srnicek is Lecturer in International Political Economy at City University London and the author of Platform Capitalism and, with Alex Williams,Inventing the Future: Postcapitalism and a World Without Work, a new manifesto for a high-tech future free from work. Currently, he is writing After Work: What’s Left and Who Cares? Hito Steyerl is a writer and filmmaker based in Berlin. She is Professor of New Media Art at the Berlin University of the Arts. Steyerl’s work has been exhibited at Artists Space, Institute of Contemporary Arts, and the Art Institute of Chicago, among other places. Additionally, Steyerl contributes regularly to the online arts journal e-flux. Pelin Tan is a historian and sociologist based in Turkey. Tan is Associate Professor in Architecture at Mardin Artuklu University in Istanbul. In 2015, she curated “Adhocracy – Athens” for the Onassis Cultural Center and was a board member of the Greek Pavilion at the Venice Biennale. Additionally, Tan co-runs the project Autonomous Infrastructure for the 2017 Oslo Architecture Triennial. IdeasCity Athens Fellows Kafilat Adeola Aderemi is an activist and researcher based in Athens. She is a research assistant at Yale University and works as a yoga therapist for Melissa Network, an organization for migrant women that drives integration and capacity building in Athens. Antonia Alampi is an art historian, curator, and writer based in Berlin. Her work has been published inart-agenda, Arte e Critica, and Flash Art International, among other magazines. Alampi previously worked at Beirut, an art initiative and exhibition space in Cairo. Elina Axioti is an artist and researcher based in Berlin. She is a current PhD candidate at Humboldt University and previously worked as Assistant Curator for the exhibition “Heaven Live” at the 2009 Athens Biennial. Haris Biskos is an architect based in Athens. He is the founder of Traces of Commerce, an initiative that repurposes the vacant storefronts of Athens, and Program Coordinator at synAthina, a social innovation platform. Sasha Bonét is a writer and activist based in New York. Her writing has appeared in Guernica magazine,AFAR magazine, and the Feminist Wire, among other publications. Bonét is currently working on a collection of essays on radical black feminism. James Bridle is an artist and writer based in Athens. Bridle’s work focuses on the impact of technology on culture and society. He contributes to the Guardian, Frieze magazine, the Atlantic, Vice, and Domus, and has lectured internationally. Maria-Thalia Carras is a curator and cultural producer based in Athens. She is a cofounder of the nonprofit contemporary arts organization Locus Athens. Previously, Carras was Assistant Curator of “Outlook: International Art Exhibition” in Athens. 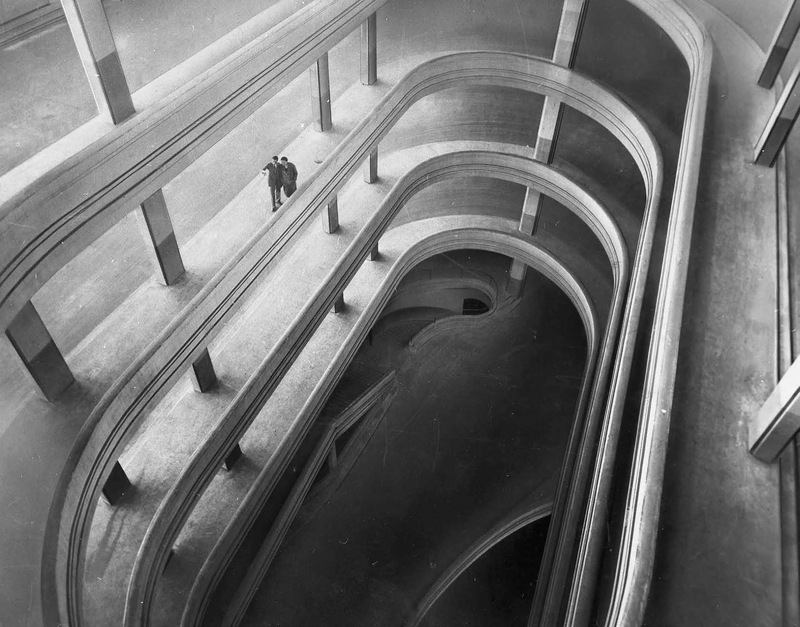 Dario Calmese is a photographer and artist based in New York. He is a regular writer on style and culture for the Huffington Post and the Daily Beast. Calmese currently sits on the advisory board of the Museum at the Fashion Institute of Technology. Amy Chester is a civic organizer based in New York. She is Managing Director of Rebuild by Design, where she focuses on design and community engagement. Previously, she worked for the New York City Housing Authority and the Office of the Mayor in New York. Manolis Daskalakis-Lemos is an artist based in Athens. 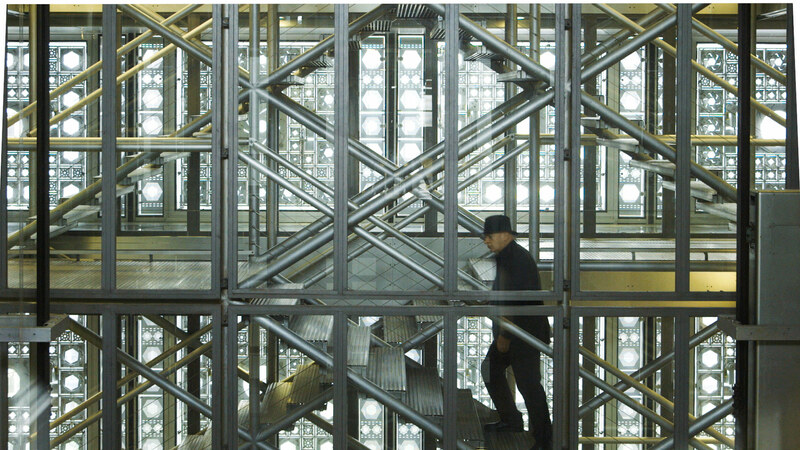 Currently, he is in residence at the Palais de Tokyo’s Pavillon Neuflize OBC. His work has been exhibited at the Benaki Museum, LUMA Westbau, the Serpentine Galleries, and the Athens Biennial, among other venues. Stamatia Dimitrakopoulos is a curator and writer based in Athens. She is Curator of the Breeder residency program. Previously, Dimitrakopoulos worked for the Greek Pavilion at the 2015 Venice Biennale and the 2017 Athens Biennial. Sofia Dona is an architect and artist based in Athens and Munich. She is a PhD candidate at the University of Thessaly in Greece and has participated in the Athens Biennial, the São Paulo Biennial of Architecture, and the Istanbul Design Biennial. iLiana Fokianaki is an art critic and curator based in Athens. She is the founder of State of Concept, a nonprofit gallery in Athens. Fokianaki has written for LEAP, ART PAPERS, and Monocle, among other publications. Ayasha Guerin is an artist and scholar based in New York. She is a PhD candidate at New York University, where she is focusing on urban environmental studies. Currently, she is also a Fellow at the Museum of the City of New York. Olga Hatzidaki is a curator and cultural producer based in Athens. She is a cofounder of the nonprofit contemporary arts organization Locus Athens. In 2007, Hatzidaki was a curatorial assistant at the Athens Biennial. Zoe Hatziyannaki is an artist based in Athens. She is a member of the collective Depression Era and the artist-led studio and project space A-Dash. Hatziyannaki’s work has been published and exhibited globally. Victoria Ivanova is a curator and writer based in London. She is a cofounder of Real Flow, a platform for art and finance in New York, and IZOLYATSIA, a cultural center in Donetsk, Ukraine. Previously, she was Assistant Curator for Public Programmes at Tate Modern. Stefan Jovanovic is a designer and artist based in London. He is currently in residence at Sadler’s Wells Theatre and is working at ImPulsTanz in Vienna with Tino Sehgal. Jovanovic has performed at Musée de la danse at Tate Modern, among other places. Mathias Klenner is an architect and university lecturer based in Santiago, Chile. He is a cofounder of the architecture collective TOMA. Klenner’s work has been exhibited in various venues, including the 2015 Chicago Biennial. Marily Konstantinopoulou is an arts professional based in New York. She currently works in the Museum of Modern Art’s R&D Department. Previously, she was a consultant at the Hellenic Parliament for the Standing Committee on Cultural and Educational Affairs. Ben Landau is an artist and designer based in Melbourne, Australia. Landau lectures at RMIT University in Melbourne and has exhibited his work in the Biennial of Design Ljubljana, the Istanbul Design Biennial, Bureau Europa, and the Lisbon Architecture Triennial. Jimenez Lai is an architect based in Los Angeles. He is the founder of Bureau Spectacular, an architecture group that focuses on cartoons, storytelling, and communication. Lai designed the Taiwan Pavilion at the Venice Architecture Biennale in 2014. Constantine Lemos is an architect based in London. He has worked on design projects in Dubai and Istanbul for Anouska Hempel, construction projects in Abu Dhabi, and shipbuilding in Greece. Fei Liu is a designer and artist based in New York. She is a 2016–17 member of the New Museum’s art, design, and technology incubator, NEW INC. Liu curates a podcast and music show at Bel-Air, an artist-run online radio station in Brooklyn. Juan López-Aranguren is an architect and civic designer based in Madrid. He is a cofounder of the artist and architecture collective Basurama. López-Aranguren has exhibited and built projects internationally. Marcelo López-Dinardi is an architect and educator based in New York. He is a partner of A(n) Office, a design and curatorial practice that was selected to represent the United States at the 2016 Venice Architecture Biennale. Kosmas Nikolaou is an artist based in Athens. He is a cofounder of 3 137, an artist-run space in Athens. His work has been exhibited at the Benaki Museum, the National Museum of Contemporary Art, Enterprise Projects, and Rebecca Camhi Gallery in Athens, among other venues. Michael MacGarry is a visual artist and filmmaker based in Johannesburg. He is a PhD candidate at the University of the Witwatersrand and has exhibited his work at Tate Modern, Guggenheim Bilbao, Kiasma Museum, and Iziko South African National Gallery. Tiff Massey is an artist and activist based in Detroit. Her work explores class, race, and contemporary culture through the lens of African adornment. Massey is a 2015 Kresge Visual Arts Fellowship awardee and John S. and James L. Knight Foundation grant recipient. Shawn McLearen is a community real estate developer based in New York. He is the founder and President of Placeful, a nonprofit organization that focuses on socially responsible partnerships. Sean Monahan is an artist and writer based in New York and Los Angeles. He is a cofounder of the trend-forecasting group K-HOLE. Monahan has worked with Virgin Group, MTV, the New Museum, MoMA P.S.1, Casper, and the 2016 Berlin Biennial, among other organizations. Ilias Papageorgiou is an architect based in New York. He is a partner at SO – IL, an architecture studio that envisions spaces for culture, learning, and innovation. Papageorgiou has taught at the Graduate School of Architecture, Planning and Preservation at Columbia University. Fortuné Penniman is an architect based in Dubai. He is a cofounder of the design and research practice A Hypothetical Office. In 2016 he graduated with honors from the Architectural Association School of Architecture in London. Eduardo Pérez is an architect and manufacturer based in Santiago, Chile. He is a cofounder of the architecture collective TOMA. Pérez has exhibited his work at the 2015 Chicago Biennial, among other venues. Danielle Rosales is a graphic designer and sociologist based in Paris. She is Design Researcher at Civic City and a cofounder of Spatial Codes. Rosales’s work was featured in the 2016 Venice Architecture Biennale. Maria Stanisheva is a documentary filmmaker based in New York. She is the founder of FINDING HOME, an online storytelling platform for displaced communities. Stanisheva’s work has been featured on Euronews and in the New York Times and the Independent. Hakan Topal is an artist based in Brooklyn, New York. He is Assistant Professor of New Media and Art+Design at SUNY Purchase College, and his work has been exhibited at the Gwangju Biennial, the Istanbul Biennial, the Venice Biennale, and MoMA P.S.1. Francis Tseng is a designer and software engineer based in New York. 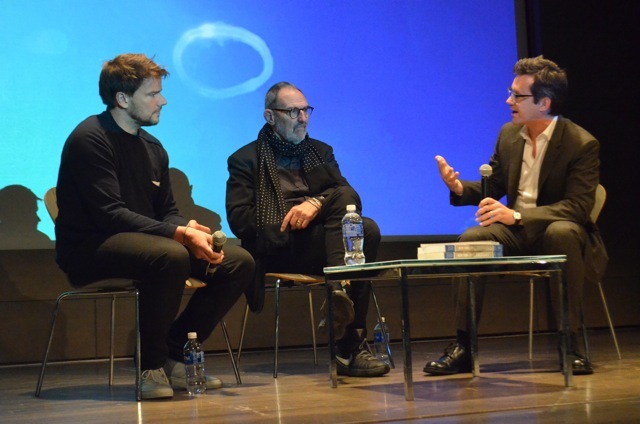 He is a 2016–17 member of the New Museum’s art, design, and technology incubator, NEW INC. Previously, Tseng worked for the New York Times and the Washington Post. Jonida Turani is an architect and curator based in Venice and Tirana, Albania. She is Codirector of Beyond Entropy Balkans, a nonprofit platform for art, architecture, and geopolitics. In 2014 she co-curated the Albanian Pavilion at the Venice Architecture Biennale. Rebecca Bucky Willis is an architectural designer based in Detroit. She is the founder of Bleeding Heart Design, a nonprofit organization that sets out to inspire altruism. Previously, she worked at the Detroit Collaborative Design Center at the University of Detroit Mercy School of Architecture. Civic leaders, who received word of the recognition last fall, note with pride that it gives Philadelphia a distinction that big-city rivals such as New York and Boston can’t claim. They hope it will make residents more aware of the city’s historic assets and help draw more tourists . However, a letdown is that the World Heritage City designation doesn’t offer Philadelphia any money to protect or promote historic buildings. It comes from a Canadian group, the Organization of World Heritage Cities (OWHC), not the United Nations Educational, Scientific and Cultural Organization (UNESCO), and it provides no funds for preservation. Despite its recent designation as a World Heritage City, Philadelphia has had a decidedly uneven record and reputation for historic preservation. Architects who come to the AIA convention will find Center City relatively intact. But other areas of the city are losing historically and architecturally significant buildings at a steady rate, largely due to development pressures and lack of landmark protection. This spring, many residents are smarting from the recent loss of the main auditorium of the Boyd Theater, the city’s last movie palace, and the former Union Baptist Church, where Marian Anderson learned to sing. Compared to its peers, local preservationists say, Philadelphia is doing a poor job of safeguarding its historic assets. More than a few describe the preservation scene as being in a state of crisis. Lack of imagination is one of the city’s problems, Wunsch said. “My feeling is that there are two different stories here,” said Nathaniel Popkin, writer, critic, and editorial director for Hidden City Philadelphia, another organization that pays close attention to preservation in Philadelphia. Philadelphia seems to regard preservation differently than other cities do, observes Inga Saffron, The Philadelphia Inquirer’s Pulitzer Prize-winning architecture critic. Despite the recent losses and threats to the city’s historic fabric, no one has given up hope. New Mayor James Kenney took office in January, and preservationists are optimistic that he and his administration will put preservation on a better course. They note that Kenney once worked for a local architectural firm that specializes in preservation, Vitetta, and that as a city council member he introduced legislation that would have added landmarks to the Philadelphia register and doubled funding for the historic commission. The legislation never passed, in part because Kenney left the council before it could advance. But it underscored his passion for preservation. As the new mayor settles in, Philadelphia’s preservation scene is a study in contrasts. On the plus side, Philadelphia has one of the richest collections of historic buildings in the country and a sophisticated citizenry that understands the importance of preservation. The Philadelphia Historical Commission was formed in 1955, making it one of the country’s preservation pioneers. 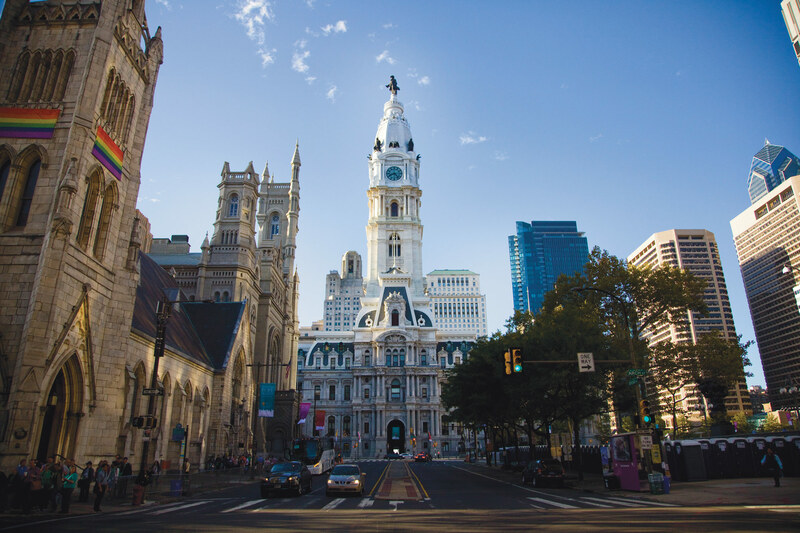 Philadelphia has excellent architecture and preservation schools, first-rate architects and builders; strong philanthropic organizations, and a longtime preservation advocacy group, the Preservation Alliance of Greater Philadelphia. But the city faces an uphill battle in protecting its assets for a variety of reasons. The historic commission has one of the lowest budgets of any big city preservation agency in the country—less than $500,000 a year. With the limited budget, commission staffers devote much of their time to processing building permit applications rather than preparing reports recommending new landmark designations. Only about two percent of the city’s buildings have any sort of local landmark protection. Designated landmarks aren’t necessarily safe from the wrecking ball either. Over the years, the historic commission has approved a number of requests to demolish buildings after owners argued it would be a financial hardship to maintain them. The city has few tax incentives for preservation. Much of the problem, said Popkin, can be traced to the city’s loss of manufacturing jobs in recent decades and its subsequent budget woes. In addition, Popkin said, Philadelphia never had the sort of overheated real estate market New York City has. As a result, he said, the historic commission has been perennially understaffed, underfunded, and ill equipped to cope with the sort of development pressures it’s facing now. The city’s lead public official in charge of preservation efforts, Historical Commission executive director Jonathan Farnham, offered no comment for this article. In other interviews, Farnham has defended his commission, saying he thinks it does well given its budget and staff size. He disagrees with those who complain that the commission isn’t recommending enough buildings for landmark status. He denies that it sides with developers too frequently. How can the situation be improved? In an op-ed for the Inquirer, Wunsch and Preservation Alliance executive director Caroline Boyce urged the city to increase funding for the historic commission; undertake a comprehensive survey of Philadelphia’s historic resources, and provide tax incentives for preservation, among other suggestions. Another key to any turnaround would be for elected officials to demonstrate the political will to make preservation a higher civic priority, and that’s where Mayor Kenney comes in. Carl Dress, principal of Heritage Design Collaborative of Media and chairman of AIA Philadelphia’s Historical Preservation Committee, said he’s encouraged that Kenney wants to rehab and reopen older libraries and recreation centers. In addition, he said, the city is moving its police headquarters from one older building, the Roundhouse by GBQC, to the former Provident Mutual Life Insurance building in West Philadelphia. It also hired Kieran Timberlake to refurbish the “Saucer” welcome center at LOVE Park.